I shifted in Bangalore in 2007. I was really scared with idea of setting down in a new city but I had no other option. I shifted 2000 kms away from home to a city that I hardly knew about. Slowly I started getting used to this place, made this city my home and its roads my stomping grounds. I spent 5 years in this city and still I never miss a chance to visit this place I know how much this city is my own even when people call me an outsider I know I am more Bangalorian than many of the people who are born here. 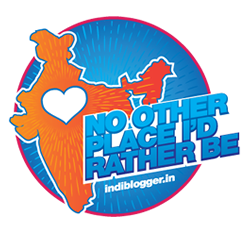 For them I was always an outsider, a North Indian but I fell in love with this city, its vibrance and the dynamic this city had. If this city was a girl I would have asked her out (But I know she would have said no and dumped me). After 7 years I realize whatever I am today, the way life turned out is all because this city taught me how to. Bangalore taught me how to survive and this city taught me how to live. With times this city has changed a lot. I find a lot of old eatups have vanished or people have stopped going there. The traditional Namma Bengaluru has vanished and are being replaced by an artificial crowed that comprises of IT crowd. The traffic jams and crowd have gone from bad to worse and auto drivers and bus conductors have become insufferable. Rains in evening are not as frequent as they used to be and at times its hot like Delhi. I realize that its time I move on from Bangalore, this place has become like my ex girlfriend that I am not able to move on from and it pains me when I find her taking wrong decisions in life but cannot do a thing about it. I’ve decided to give Bangalore visits a little break while I find myself a reason to settle somewhere else. Bangalore will always be my first love.